A year and a half ago now, I checked off a long-term bucket list item. I went to North Korea. (I blogged a lot about it, the summary is here). It’s interesting to look back and see what sticks after that amount of time, and being in Berlin right now and learning about East Germany reminds me of North Korea at times – the military, the propaganda videos. In particular, there is one thing we saw that I still think about often. 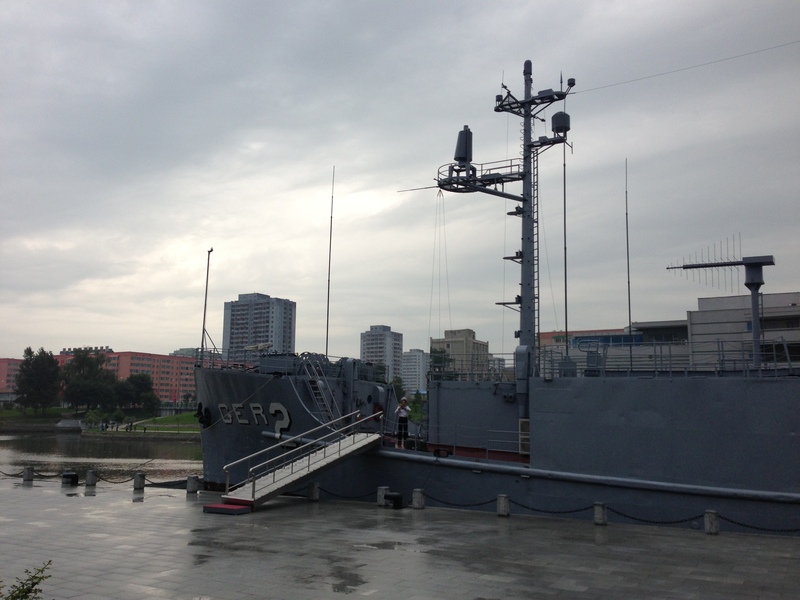 We were amongst the first Westerners to see the USS Pueblo. Short version of the story: the ship was between North Korea and Russia, spying. The North Koreans objected to this, and raided the boat, killing one person and capturing everyone else. Eventually the US signed a confession, and the captives were freed. After the captives were freed, the US retracted the confession. One of the things that struck me when I read up on this story afterwards, was that the only substantial difference between the story as told in North Korea, and the story as told in the West is where the maritime boarder is. North Korea claims a maritime border of 12 nautical miles. The UN wanted 3. Like many things involving this part of the world, it’s a bit opaque. But my takeaway – it’s doesn’t have to be a web of lies, both sides can be reasonable, but different assumption – where the maritime border is – mean they go in wildly divergent directions. In this case, it’s easy to side with UN law. But there are plenty of places where it is less clear cut. Politics is far from the only situation where that can happen. If I think of some of the things that have made me the most angry, it’s “reasonable” people operating on what I consider to be deeply flawed assumptions.